Thanks! The triangle-wave music is as much an homage to old DOS and Amiga games as it was a limitation of my own skill. 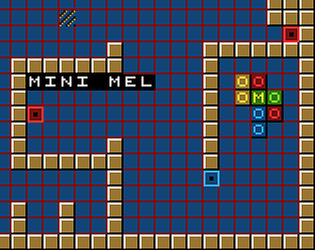 Lemmings is a childhood favorite of mine, so that's probably a subconscious inspiration. Very interesting game! I'd be keen on playing some more levels. The reset seemed to cause me a couple different issues. I was playing on level 4 and reset, which sent me back to level 1 but also kept the level 4 music playing alongside the level 1 music. Also, the reset on level 2 did in fact reset only level 2, but it also disabled the music (not the sfx). Great job overall! Thanks for the comments, and for catching those bugs! I made this with the most basic resources and a custom engine, so I'm surprised it isn't more buggy, really. I'm using WebAudio to programmatically generate music and sounds, and as I understand it, that's still an "experimental" technology; I need to toy around with it some more to come up with a better, stable implementation. As much as I want to fix bugs, I've decided to leave this particular version of the game alone: untampered after the end of the jam's time limit. 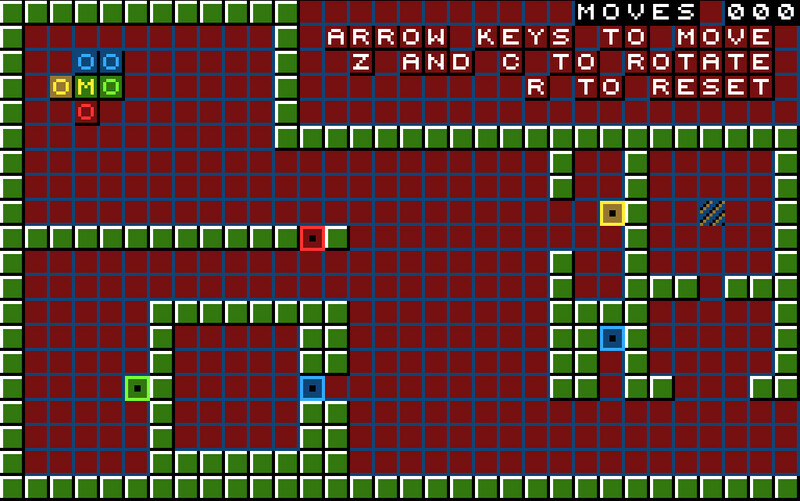 I am planning to make a more full-featured game out of this, with more levels, mechanics, and music, sometime in the near future. No problem. I'm looking forward to the full game! Liked it very much. I was hooked, waiting for more levels! Really cool mechanic! 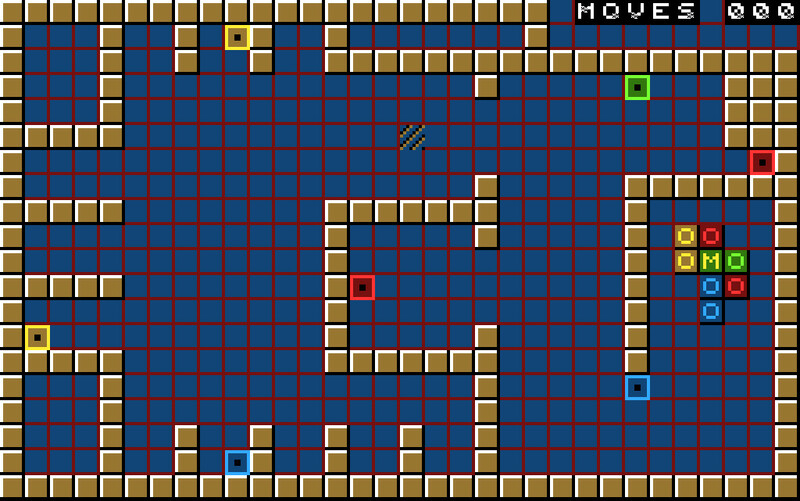 Would love to play a few more levels with increasingly complex puzzles. Nice work! Cool game! I think it might interesting to flesh out the design maybe by starting with fewer colors in a smaller area but do what you do! Well done! Great concept and gameplay!